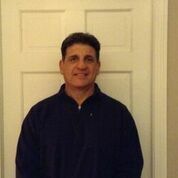 The most successful coach in Portland High School history, Joe Russo has led the Bulldogs for nearly three decades. Joe was a three- year player for Portland High School in the mid 1970s including an undefeated season in 1974. This Munjoy Hill native played basketball at UMPI four seasons and was inducted into the UMPI Hall of Fame in 1996. His coaching career includes three years as the varsity coach at Bonny Eagle High School and 27 years at the helm at Portland High School; he has amassed over 400 wins. His Portland teams have won 5 State Championships and 7 Regional titles.